I went to the same orthopedic surgeon this morning who did my ACL surgery. He did another set of Xrays and examined me. No breaks, no dislocation or destroyed joints. I have a nasty contusion and a Grade 2 sprain of the joint between the clavicle and the shoulder. He said 3-4 weeks in the sling, but If I feel better sooner I can take it off. Depending on recovery, there may or not be physical therapy. But this means I will be out of the sling and able to drive the Sunchaser to Toyotafest! All in all, not a bad outcome for 45 year old fat guy crashing a Vespa. I got lucky and need to be more careful. 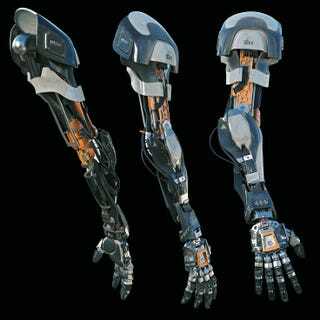 That robot arm would have been cool, though.